The NCCPE are hosting a selection of fantastic opportunities for academics to build upon partnerships with museums across London, the South East and the South West. Take part in a MUPI Match event…It’s a chance for those who are keen to meet museums and other academics in the region and to network and develop new ideas! Each event is regional, attracting museums and universities from various areas; free to participate in; and interactive. After receiving funding from the Arts Council England’s Museum Resilience Fund, the NCCPE have been developing an 18 month project to maximise the potential for museums and universities to work together to mutually beneficial aims. This project builds on a successful pilot project which was completed earlier this year. The benefits: It is well proven that there are mutual benefits to museums and universities working together. Projects can cover a wide range of topics – from improving audience understanding to developing more effective collections knowledge or interpretation; from inspiring museum audiences with cutting edge research to developing new exhibits and exhibitions; the opportunities are endless. The MUPI Match events are based on tried and tested methods of bringing people together to explore innovative and useful partnership working, stimulating new connections and new projects. Each event involves museum staff, volunteers, and academics working together to find mutually beneficial ideas that they would like to develop together. 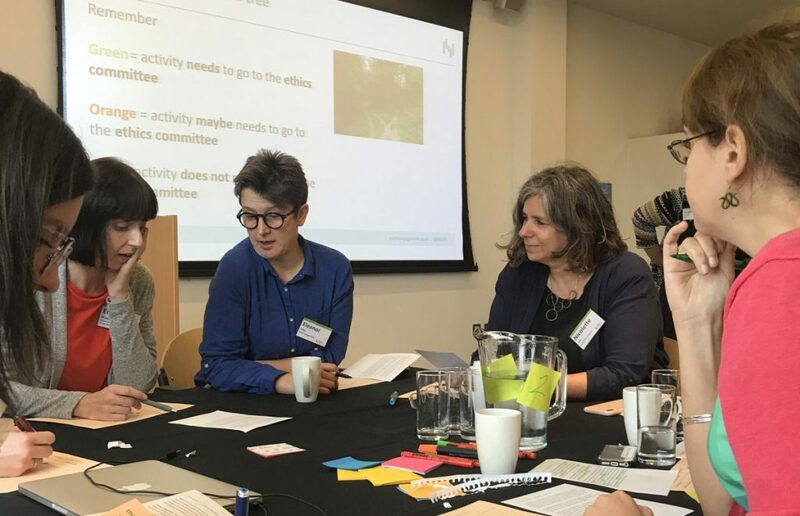 Participants can then bid for ‘thinking funding’ – to enable them to do desk research; have conversations; test ideas; and work together to plan their potential project. Teams will be supported to develop their partnership, and find effective ways to fund their project in the future. The first NCCPE newsletter of 2014 has been circulated, and I thought I would share the latest news/updates with you all! The NCCPE are collaborating with Universities UK week to offer three free training days for those people who want to develop their public engagement skills. There is a choice of sessions for those that are beginners and those that are more experiences engagers. These days provide the perfect opportunity to learn more about Universities UK week and enhance your skills. The events will take place in Bristol (18th February), London (4th March) and Manchester (11th March). Places are limited, so please book early to avoid disappointment – you can book your place here. This is just a reminder that entries for the NCCPE Engagement competition are open until 31st March 2014, so if you have a great public engagement with research project you would like to tell the NCCPE about, please do enter here! You can find out more about the Engage Competition throughout my previous blog post, here. There are many great events coming up, so to see a complete list please visit the NCCPE’s Events pages. Also, if you would like them to promote your event via their website – please do contact them. If you would like further information about their work, please email nccpe.enquiries@uwe.ac.uk. Engage 2011 – public engagement is crucial for universities! T he National Co-ordinating Centre for Public Engagement (NCCPE) held their second national conference on 29 and 30 November 2011 in Bristol and three members of staff from Bournemouth University School of Health and Social Care were lucky enough to attend this highly stimulating, engaging and informative conference. 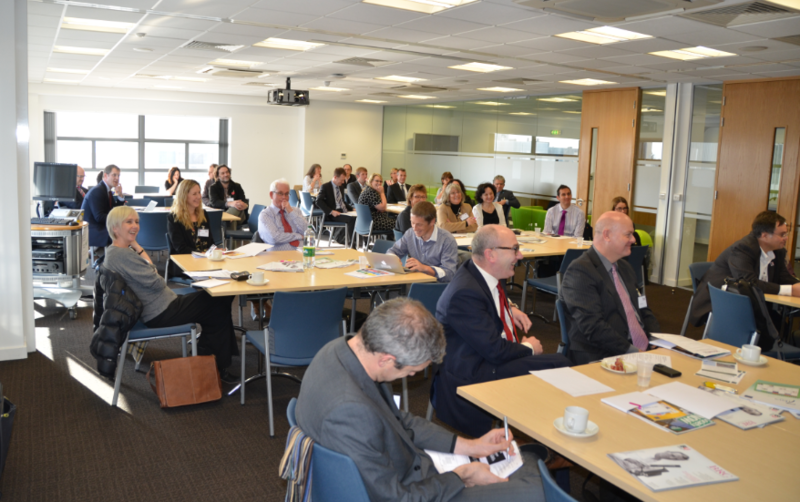 There was representation from universities across the United Kingdom and Ireland as well as from several Research Councils, HEFCE and a large number of research funding bodies and support organisations. We heard about a variety of approaches to public engagement, ranging from TV appearances with consequent email communications from members of the public, public lectures, visits to schools, engaging local businesses and community partners through to dialogue with members of the public (guidance at http://edinburghbeltane.net/content/dialoguetheory and http://edinburghbeltane.net/content/dialoguehandbook). As part of the new Fusion strategy, BU is committed to investing in public engagement and developing an engagement culture. The UET has recently approved a proposal to invest in two public engagement posts in 2012 – further details on the blog soon! Interested in Public Engagement? Then attend Engage 2011! We are looking for a volunteers to represent BU and to attend Engage 2011: Making an Impact next week. Engage 2011 is the annual conference of the National Coordinating Centre for Public Engagement and will be held on Tuesday 29 and Wednesday 30 November in Bristol. Delegates can choose to attend for one day or both days. Your attendance will be fully funded by the RDU. If you’re interested in attending contact me (jnortham@bournemouth.ac.uk) as soon as possible and I’ll arrange it for you. 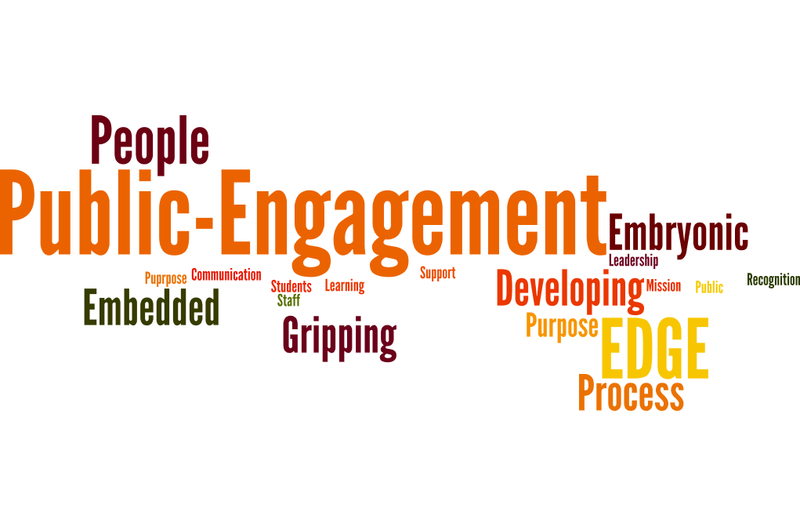 Public engagement is a hot topic in the world of HE at the moment! Over the past 12-18 months in particular there has been a huge push to increase the volume and quality of public engagement. The main reasons for this push have been the increased prominence of the research impact agenda, the need to demonstrate the societal value of research, and accountability to the public purse. In return for contributing to society through public engagement, universities have much to gain and the benefits of this public engagement activities are felt by the university, its staff and students, and the wider public. BU will be focusing a lot of energy and passion on public engagement in the near future! Attending Engage 2011 is an excellent opportunity for you to find out all about public engagement and to champion it in your Schools.